A 28-year-old faces a long and painful road to recovery after suffering a grisly car accident injury, but it hasn’t stopped her from thanking the people that were first on the scene. 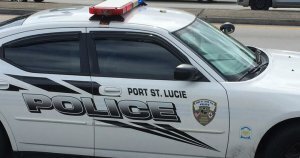 The 28-year-old sustained an open compound fracture to her right leg after colliding with another vehicle on a Fort Pierce Highway at St. Lucie County. By coincidence, an Indian River County Hospital nurse witnessed the crash and was able to provide first aid, placing a pad over the open leg wound until paramedics arrived. “I was screaming in pain,” the 28-year-old victim said. Her husband was on scene quickly and reportedly did very well to contain the horror he felt when confronted with the sight of his badly injured wife. “The bone was sticking out of her leg,” her husband said. Paramedics worked to provide pain relief before getting the driver off to the hospital, where she remained for a while after undergoing surgery. Now wrapped in a full-leg brace, the injured leg will require months of physical therapy. The victim, still hasn’t been told if she will regain full use of the limb. One of the Indian River County Boy Scouts struck by a drunk Mercedes driver has died. The motorist admitted he had been drinking at a golf club right before the incident. Sixteen people including a 12-year-old and four fellow Troop 161 Scouts were hiking along Fellsmere Road in Indian River County when a drunk 41-year-old man veered off the road and slammed into them, officials said. Cops said, they found the 41-year-old reeking of booze, wobbling on his feet and slurring his speech. “I was coming from the Fellsmere Golf Club. Yes, I had three drinks,” the Gifford resident told investigators shortly after the crash, according to a criminal complaint. The 12-year-old was flown by helicopter to Delray Medical Center, then airlifted to another hospital in Palm Beach County where he succumbed to his injuries. “Our Scouting family is going through a terribly painful time,” the Indian River County chapter of the Boy Scouts said in a statement. Our condolences are with the family of the deceased. “I knew he was going to grow up to be a wonderful man,” a neighbor said. The other nine injured Scouts were hospitalized. 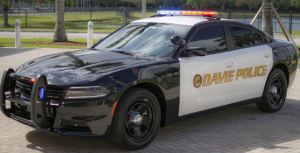 Three high school seniors were injured in a wreck near Davie High School, Delray Beach Fire Rescue and police authorities said. The two-car crash happened in Delray Beach by the entrance to the high school. A Toyota RAV4 SUV was heading east on Atlantic Avenue and tried to turn left into the high school from the right lane, according to city police and Florida Highway Patrol officials. The SUV cut across the lanes and collided with a westbound Ford F-150, according to witnesses and Florida Highway Patrol officials. The passenger in the SUV was trapped in the car and had to be extricated, rescue crews said. She was taken as a trauma patient to Delray Medical Center. Later, she was in serious but stable condition, Florida Highway Patrol officials said. The SUV driver was injured as well and taken to a hospital in Delray Beach for minor injuries. Four people in the Ford were seriously injured, according to Florida Highway Patrol officials. Authorities and the Florida Highway Patrol officials are investigating exactly what caused the crash. Although drugs or alcohol may have been in present. 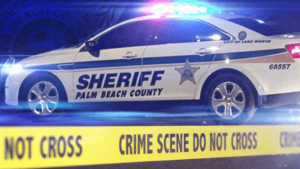 A West Palm Beach woman is dead and two men are in critical condition after a wreck that happened near the intersection of Okeechobee Boulevard and Vista Parkway in suburban West Palm Beach, according to witnesses and Florida Highway Patrol officials. Florence King, 32, died and Patrick Gibson, 33, and Joseph Cross was injured when the Mitsubishi 4-door car Gibson was driving went over the shoulder and into a street sign pole, according to the Palm Beach County Sheriff’s Office and the Florida Highway Patrol. Gibson was driving his car west on Okeechobee Boulevard when he lost control of the car and crashed into a pickup truck driven by a 21-year-old Davie boy. Florence King died as a result of her injuries, while Gibson and Cross were taken to a local hospital, according to the Florida Highway Patrol officials as well as witnesses. Deputies said, investigators are looking into impairment as a possible cause. Also alcohol or drugs may have been the cause of the car crash. A car stolen during a carjacking that took place on Interstate 95 from Fort Lauderdale to Boca Raton ended after a crash on the side of the highway, Florida Highway Patrol officials said. Fort Lauderdale police saw the vehicle in the 2700 block of West Sunrise Boulevard and followed it, a Florida Highway Patrol spokeswoman said. The pursuit ended when the car crashed off I-95 at the exit ramp for Spanish River Boulevard. Police reported, that three people were critically injured in the crash and two people were in custody, the Florida Highway Patrol official said. 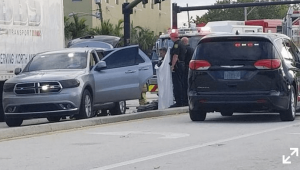 The carjacking happened outside of Fort Lauderdale and Florida Highway Patrol and other police authorities said information about the stolen car was still being gathered by investigators. A Broward Sheriff’s helicopter, police dogs, deputies with the Violence Intervention Protective Enforcement Response squad and deputies from the Deerfield Beach district helped Fort Lauderdale police. The major cause of the crash is still under investigation according to the Florida Highway Patrol, as alcohol or drugs may have been the main reason for the crash. Anyone with relevant information should contact Florida Highway Patrol Department. A 20-year-old Boca Raton woman was killed in a vehicle crash on Florida’s Turnpike, the Florida Highway Patrol officials said. The woman was identified as Dorathy Benjamin Currie, the Orlando Sentinel reported. According to FHP, Dorathy was a passenger in a Lexus SUV driven by a 20-year-old woman of Pembroke Pines. The 20-year-old woman was southbound on the turnpike in the inside left lane, south of the Orange Blossom Trail interchange, when she had lost control of the vehicle at a curve. She veered into the median, spun out of control and struck a Toyota Corolla in the median. The SUV rolled over a nearby guardrail into northbound lanes and overturned twice. Dorathy who was not wearing a seat belt and was thrown out of the vehicle, Florida Highway Patrol officials said. The 20-year-old driver suffered serious injuries, as did a 17-year-old riding in the vehicle. There were five additional people in the car, who suffered minor or no injuries. They included Sharon M. Dorclas, 18, of West Palm Beach, WPEC-12 reported. The crash is not alcohol related, Florida Highway Patrol officials said. Helping people was part of Antonia Creek’s DNA, according to family and friends. It ended up costing the 25-year-old Boynton Beach mother her life. Creek was traveling southbound on Interstate 95 near Titusville when she came upon a disabled van stranded in a travel lane and got out to help. A Chevy pickup swerved once to avoid the van and then again to avoid a crash. It struck Creek as she desperately ran toward the interstate’s grass median. She died at the scene. 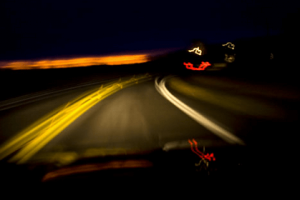 But much can go wrong when a “good Samaritan” motorist, as FHP called Creek, gets out of their vehicle to assist another on a super-fast highway, especially at night. A spokesman for the American Automobile Association said, motorists should pull over to the roadway’s shoulder before taking further action. If a stranded vehicle is in the roadway, calling 911 may be the best approach. A Riviera Beach man was killed when his car crashed into a truck that was stopped along the Florida’s Turnpike for a previous accident. Dennis Calvary Junior, 24, was dead at the scene. 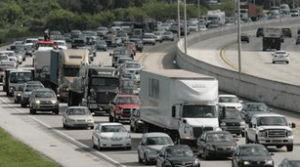 The accident had occurred on the northbound side of the turnpike at mile marker 54, which is near the road’s intersection with Interstate 595, the Florida Highway Patrol officials reported via the post. Calvary Junior, in a Honda Accord, was heading down the center lane and then veered into the outside lane where the unoccupied truck was stopped and crashed, according to a report from the Florida Highway Patrol. The truck was stopped there because two lanes were closed due to a previous accident, the Florida Highway Patrol report says. Junior was wearing a seat belt at the time of the car crash. “Please contact the Florida Highway Patrol officials or the nearest police station nearest to you, if you have any relevant information relating to the crash”, a Florida Highway Patrol Lieutenant said. Three Lauderdale Lakes men died in the fatal head-on wreck on Interstate 95 in Boca Raton, the Florida Highway Patrol said. Francis Parker Mardy, 50, Joseph Hilton, 33, and Vincent Hillary, 63, died in the wreck in the northbound lanes between Yamato Road and Congress Avenue, FHP said in a report released. The cause of the wreck remains under investigation and tests are pending on whether the 50-year-old, who was driving the 2000 Honda Accord in which they were riding, was under the influence of either drugs or alcohol at the time of the head-on crash. Neither Francis, Joseph or Vincent were wearing seat belts at the time of the crash, FHP said. Another 23-year-old Lake Worth man, suffered critical injuries and was rushed to Delray Medical Center, FHP said. Tests also are pending on whether the 23-year old, who was driving a 2014 Honda Civic, was under the influence of drugs or alcohol at the time of the wreck. It was unknown whether he was wearing a seat belt. One of four people in the third car involved in the wreck is a woman of Deerfield Beach, she also sustained minor injuries, FHP said. The other occupants of her family’s 2007 Toyota Prius were uninjured and all four of them were wearing seat belts. There is no indication that the driver was under the influence of either alcohol or drugs at the time of the crash, FHP said. Details of how the crash unfolded remained under investigation FHP said. According to the arrest report, a 44-year-old man’s evening began to go south when a resident of Granada Road spotted the man rummaging through a neighbor’s Toyota Rav 4 and then leaving in a white van. The resident called police with a description of the man and the vehicle. An officer spotted the van headed north on Dixie Highway headed for the intersection of Okeechobee. 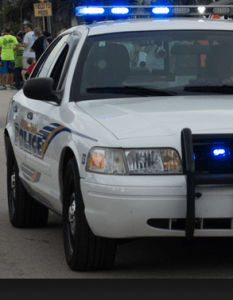 The officer reported the van was going about 35 mph until the officer turned on the cruiser’s lights and siren, at which point the van sped up, running two red lights and heading north into a stretch of Dixie that is one-way going south. The van narrowly missed a Florida Highway Patrol cruiser eastbound but then slammed into an oncoming silver Honda. Authorities say, the Honda’s driver, though taken to the hospital, did not survive the crash. Rescue crews had to pry the van driver out of that vehicle. The van had been reported stolen in Riviera Beach that day, according to the arrest report. The 44-year-old driver was taken to St. Mary’s Medical Center, but a West Palm Beach Police sergeant said the man has been since moved to the jail.